This is recounting in brief the principles behind some views/ideas expressed to me by a good samaritan, who I held in esteem as more than just an intimate acquaintance/well wisher for a short period of three years – a good two decades ago. He was narrating some salient characteristics of his few unconscious and unconventional actions that brought excellent results at work in his career. He was neither a management professional nor a business executive, but a highly acclaimed trainer. Except for the aspect of ‘proper planning’ which word he mentioned in clear terms and details, nothing did he do following the well known management principles, though every part of the good results achieved can be held to follow a code and pattern of established management framework. It was just his logic, intuition and commonsense that earned him a special status. Sans the specific incidents, here it is moving on to specifying the 7 principles that I culled from his experiences. 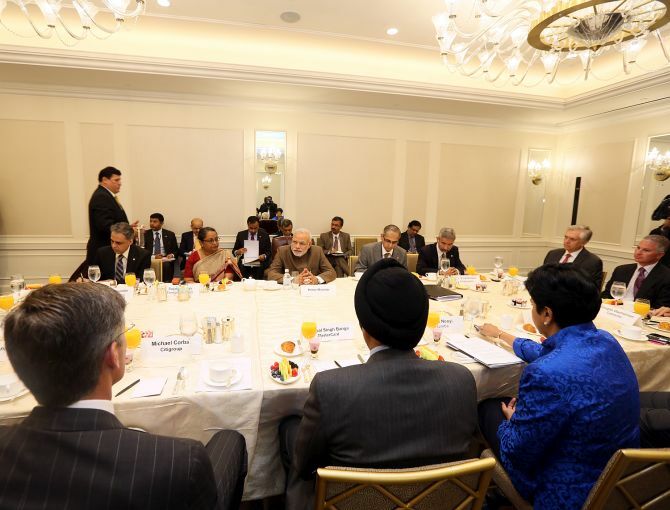 The connection(s) given to the PM’s meet with Business Executives is only spontaneous and incidental. We all think of any New Year, a few days or a few weeks earlier, whether to make resolutions or to start anything new. It is not right. ‘Plan at least three months earlier’ is the right recipe ( Crux ). 1. I learnt from him that planning for the year has to start at least a good three months ahead – say from October. More so for businesses since it follows the heavy buying season of the customers ( October through December – advantages of festivals and the good climate combined ) probably followed by a lull. The first lesson in planning here is : Are you making yourself aware of the expectations of the stakeholders, and customers. Applies equally whether you are the head of a family, small/medium/large business, institution, or government. For the family, it is their siblings. 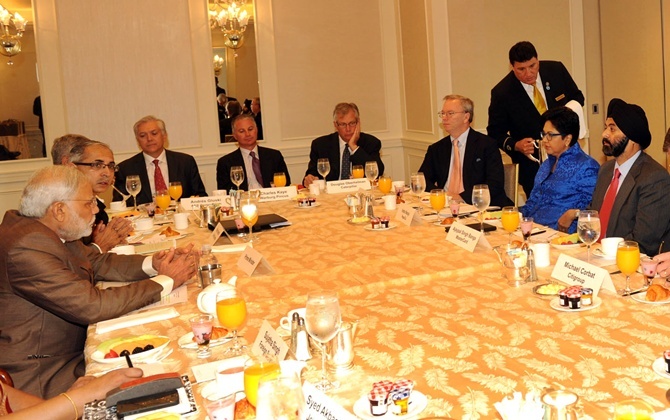 PM Modi’s first meet with CEOs in U.S.A. and the discussions could not have come at the most opportune moment ! Quite appropriate for deeds in ‘2015’. As for continuation, realization and implementation, however, it is too early to hazard any guess at this stage. 2. Are you setting the “right goal” for the next year ? Setting an order of priority or an ABC classification for the actions/elements fulfilling the goal is a key step. This can be done effectively only when the interests of the stakeholders are defined in clear terms for fruitful progress. Families make a laundry list of needs, wants, and actions to meet them in order. 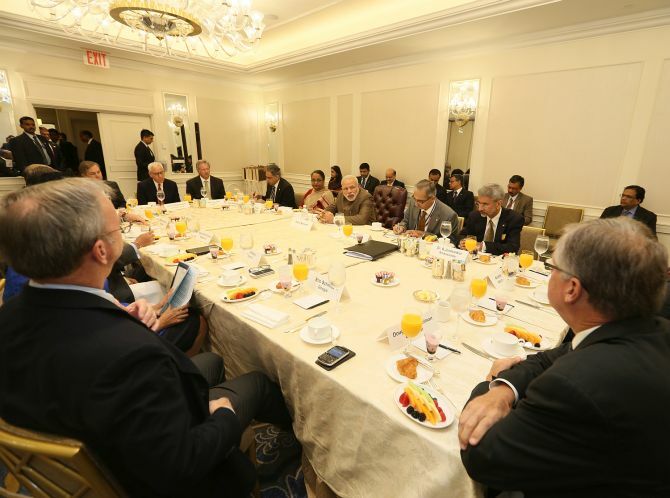 Even if it has firmed up the preliminary understanding and mutual interests – the process of getting to know each other – PM Modi’s meet with the CEOs would have made some nascent ground in this respect. With no information out officially at this stage, it is again too early to hazard any guess. 3. How have your acts in the past nine months served you so far : be it in discussions, consultations, suggestions, communications ( regular/occasional – formal/informal ) ; and how can you re frame if there is a need based on the appraisal occupies the next step. For individuals and businesses ( small and medium ) it affords a less difficult path to tread compared to the Government ( specially when there is lack of continuity or new policies are planned ) and the big businesses which are subject to the special provisions of the government. The present government which is just 4 months old has its task cut out from the scratch on this. And so it is too early to hazard a guess on any new measures aimed at correction/continuation or otherwise. 4. How have your finances served to be satisfying, competitive, or alternately fell short on planned objectives in terms of growth, new avenues of investment/expenditure be it at individual, local, national, … level(s) ? This in effect is in the realm of resource planning at every level. For families a simple budgeting activity will suffice. 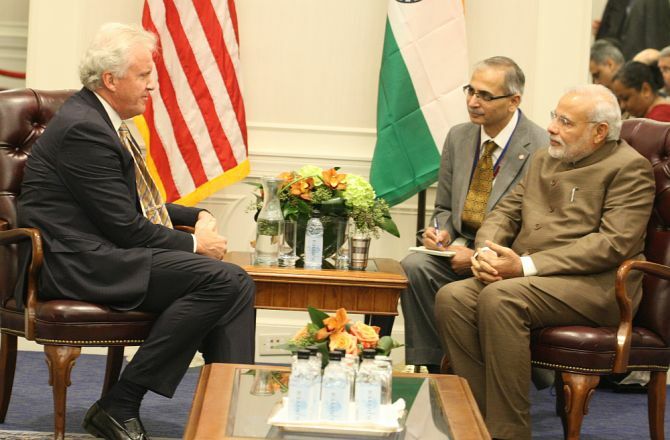 PM Modi and his team may have earned a sense of the possibility during the meeting. Until official word comes one needs to keep the fingers crossed. 5. Did you have a formal system, in the earlier period, of planning, coordinating, and directing and in the event of the same have you been able to achieve what was intended without any gap or shortcomings ? While for the family it is more on the lines of a routine ‘stocktaking’ , for any government it is critical. The present government is, nevertheless, blessed with the existence of a legitimate, long enduring, and credible system in place with activities covering the entire gamut of sectors for suitable action. So it will not be clear until the government’s identified and assigned actions are specified/revealed. 6. Have you made a SWOT analysis of your members of the family, institution, business or the government ? Have you allowed your members and associates/subordinates to contribute effectively true to potential and taken remedial actions to overcome the weaknesses ? For the family it mainly rests on the head forming another of a set of regular features. Big businesses and government need to follow their own established procedures and processes. Trusted aides, advisors and team members in the case of PM Modi’s government would have a template of this ready even prior to the discussion(s). But finalized plans and actions will always remain close to their chest(s) until it is communicated formally. 7. What constitutes your long term goal(s), say for 5 years, 10 years, 15 years and so on ? Have you zeroed in on a particular set of parameters to measure performance against the goals ? Is there need for additional program(s), strengthening tools, and infrastructure to make them efficient and effective ? While for the family, education and career growth of children will constitute the chief factor, the focus becomes even bigger and broader for the government. It is not just looking for opportunities to improve ideas and do better as in business. It is also looking for ‘problems’ – both internal and external – and to secure the nation. A new theory suggests molding the attitude of leaders to “Take Problems with Optimism” be it in business or government. Business meet will have it in their plans and the government for its part will not be strictly bound by ordinary descriptions and requirements of mandates or obligations. In purlicue, can I say that starting October ‘Commit yourself to this exercise to grow stronger even while boosting the morale of self and others’. I am compelled to do this more than anyone, anywhere, anytime. Tuesday, September 30, 2014 – 9. 09 a.m.